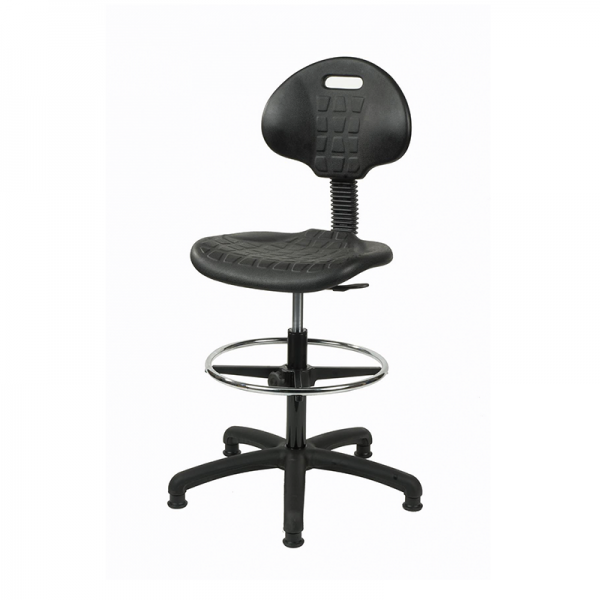 Our Draughtman's Chair is a simply chair, ideal for use behind receptions and counters. These chairs are also ideal for providing staff somewhere to rest their feet at exhibitions too! This classic chair includes a chrome circular foot rest and has a gas lift function and fixed feet for great stability. See our full range of hire seating.